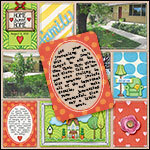 Use basic shapes and a stroke to create custom journaling cards that coordinate with any kit. It's easy and so versatile! 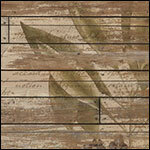 Do you love the look of aged, painted wood? Try this non-destructive technique for adding a subtle, realistic effect to your wood backgrounds. 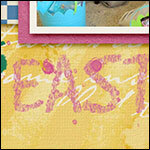 Add a touch of spring to your digital scrapbook pages. Recreate the look of sidewalk chalk using layer masks and filters. 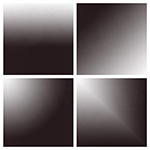 Add a touch of shimmer to any element using the Noise filter and Blend Modes. 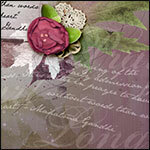 Use these elements to add a little sparkle to any scrapbook page. Add a decorative flair to your layout with artistic text created using Custom Shapes and Blend Modes. Use the Gradient tool and a Layer Mask to make two papers become one. 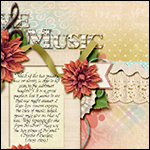 It will make a dramatic statement on your scrapbook pages. 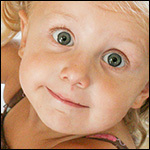 Don’t leave her eyes to the mercy of your camera! Bring them new life with this quick tip for contrast. 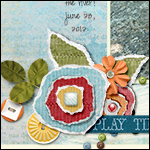 Add that extra special "something" to your scrapbook page. 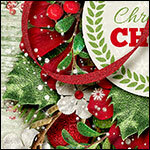 Apply a Feather to the Rectangular Marquee tool to create clipping masks with soft, blended edges.